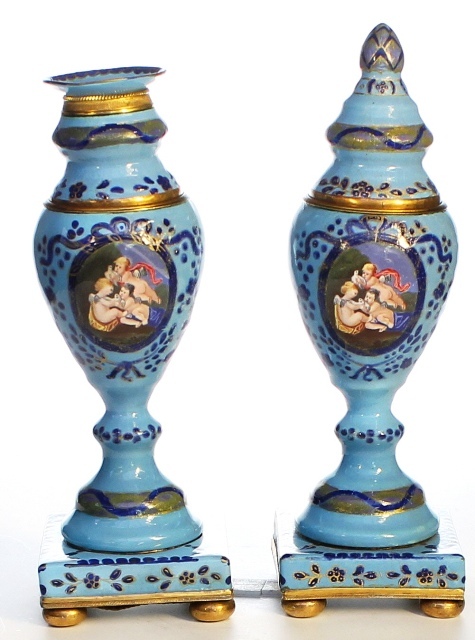 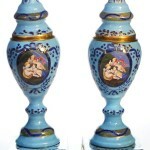 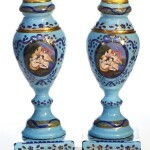 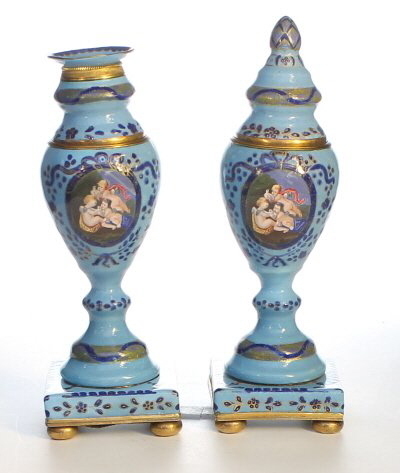 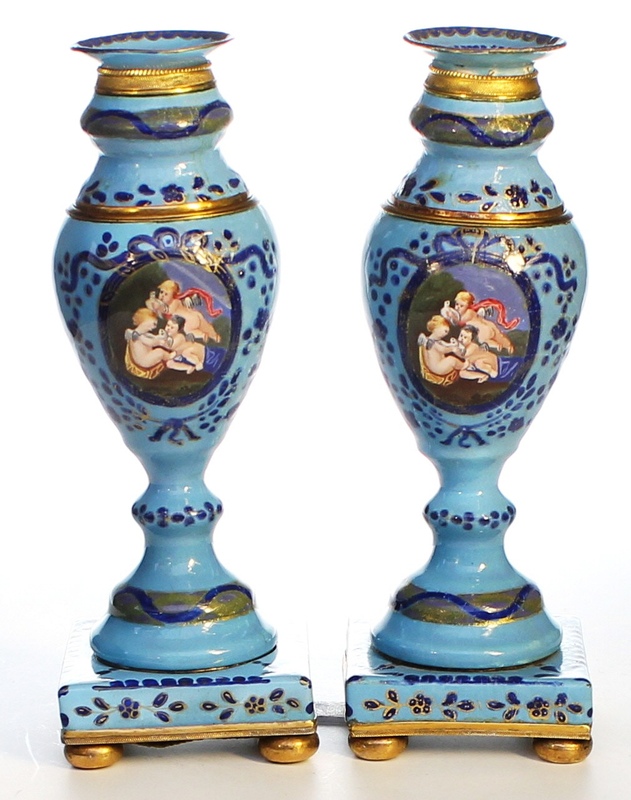 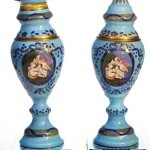 A rare pair of Bilston enamel " Cassalets" , the panels decorated with cherubs within a dark blue ribbon, against a pale blue background. The lids on the urn's can be turned upside down to hold candles. 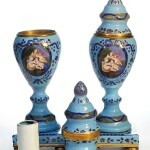 with gilding to the mounts and base. 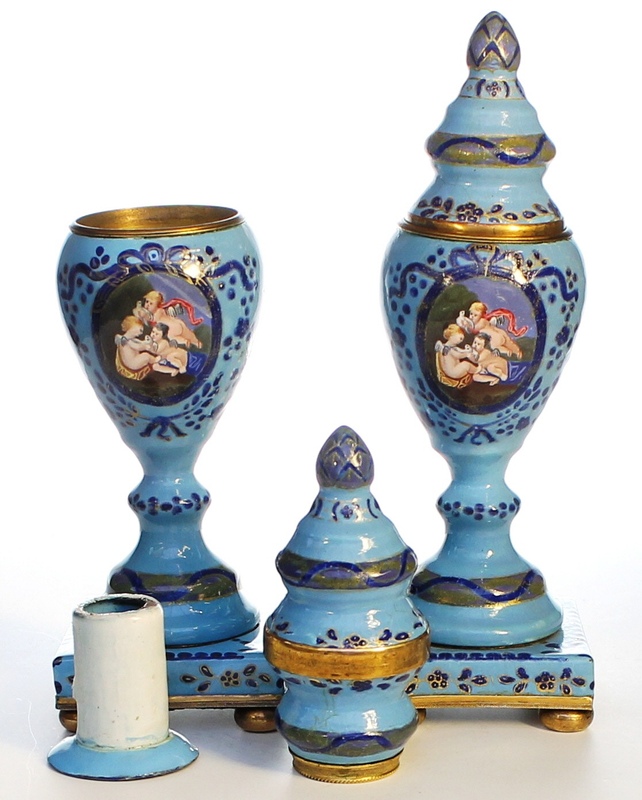 English c1775. 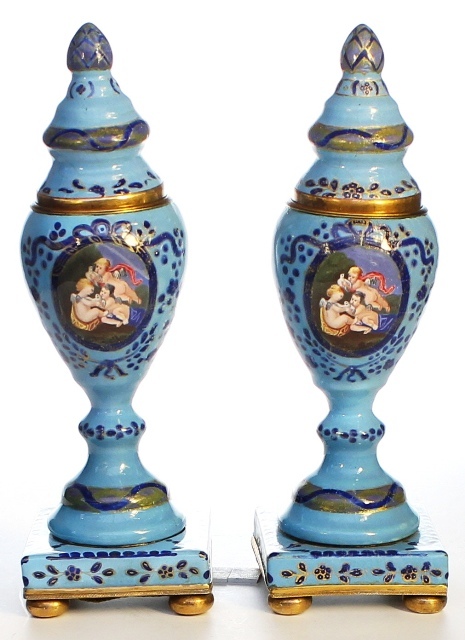 Height 7.5"